Well done, you find the write up about my third foray into the world of arcade machine ownership. If you�d asked me a year ago what it would have been about I would have said I�d be describing some kind of jukebox, but what I�m actually describing is my first fruit machine, or slot machine if you will. Luckily it wasn�t too far away, just under an hour�s drive, and the guy wanted it out of his way but assured me the machine had worked the last time he had plugged it in. Feeling adventurous I decided to go and pick it up, honestly more for my wife and children than for me. 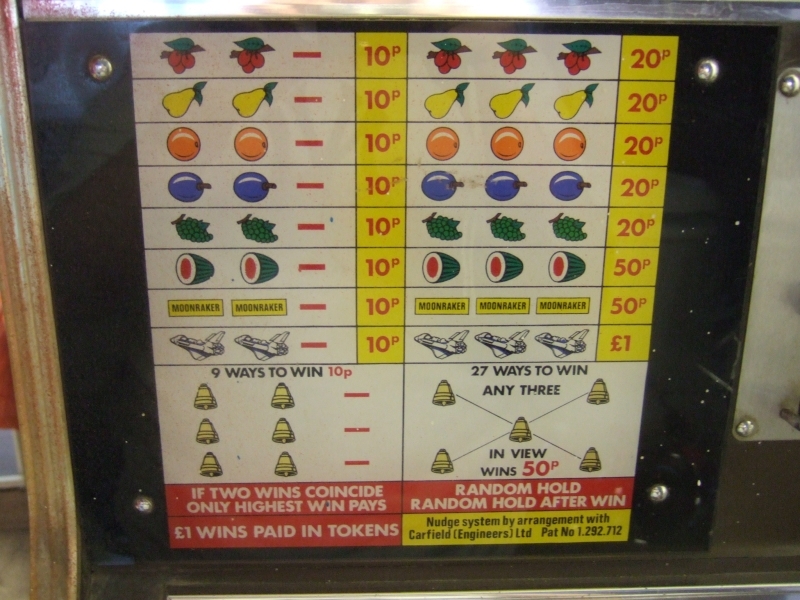 I sometimes play fruit machines but not very often, but after a recent trip to St Anne�s where we�d all played a few fruit machines in the pier arcade. 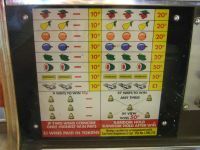 and particularly a 2p roulette machine, I decided that if I saw a suitable fruit machine on offer somewhere that I would get it. 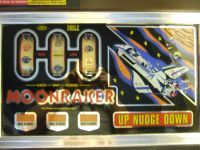 The machine in question was an old one themed around the Space Shuttle called Moonraker, the name of a Bond film that also featured variations of the Space Shuttle. I picked it up from the cellar of a house in Accrington, Lancashire and I can honestly say it weighed a bloody ton. Not only because of the cab itself but it was an electro mechanical machine with a lot of fairly heavy moving parts inside. Once I got it home I did what every right minded arcade machine owner does when they get a new machine. I checked the coin box to see how much money the previous owner had left inside. Unfortunately the previous owner had also been a right minded arcade machine owner and had checked it himself before getting rid of it, so the coin box contained a couple of pieces of fluff, a washer and an old style 10p piece. Looking around the cab itself, it is battered and bruised, and in truth beyond quick repair because a lot of the wood on the corners has been bashed and is either broken off or rotted away. 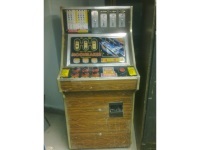 There isn�t any ongoing rot problem but it essentially needs rehousing in a new cab rather than repairing. I was warned about that before I collected it so I was prepared, and it confirmed my intentions of just getting the machine clean and playable. I would fix it, use it, and if it broke to the point of needing an expensive repair, I would sell or trade it on for something else rather than throw money at it to restore it. (1)	It is running on old coinage and wouldn�t accept any new coins that I put in it. (2)	The reel paper is slipping on the reels so when the reels come to a stop, the paper continues for a fraction of a second and displays the wrong symbol. To overcome those problems I would need to convert or replace the coin mechs and reset the reels and reel papers. Time to hit another forum then and ask for help and advice. 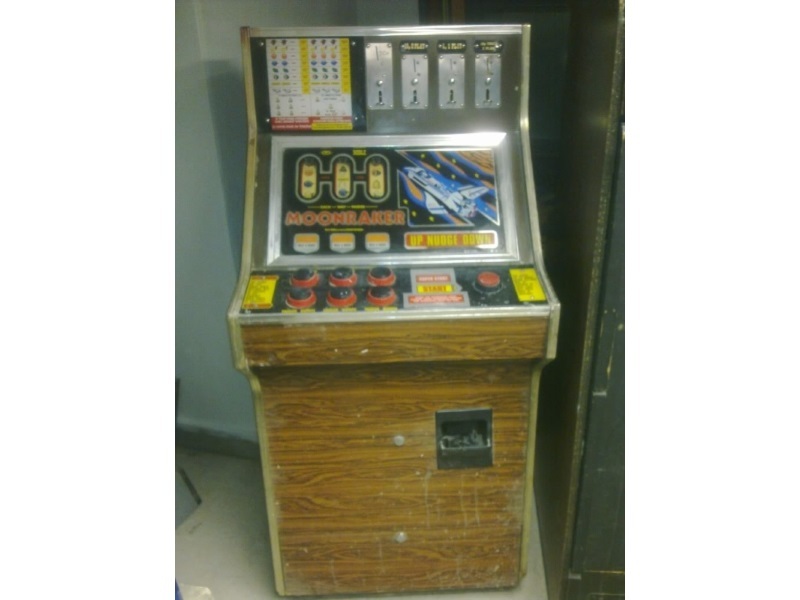 The best fruit machine forum in the UK that I found was MPU Mecca so I signed up and asked for a couple of things: some general information about the machine itself, and how to fix the problems that it had. A couple of very helpful and informative members filled me in somewhat, apparently it is a Bell Fruit base machine, most probably a Dash or a Sprint housed in a wide button panel cabinet and converted by Nobles as most Bell Fruits were in the 1970s, which would seem to be supported by a sticker in the back of the machine that bears the name Barry Noble, and they were of the opinion that although the cabinet is not the best, the machine and it's control panels and reels should still function very well and can be repaired if not. 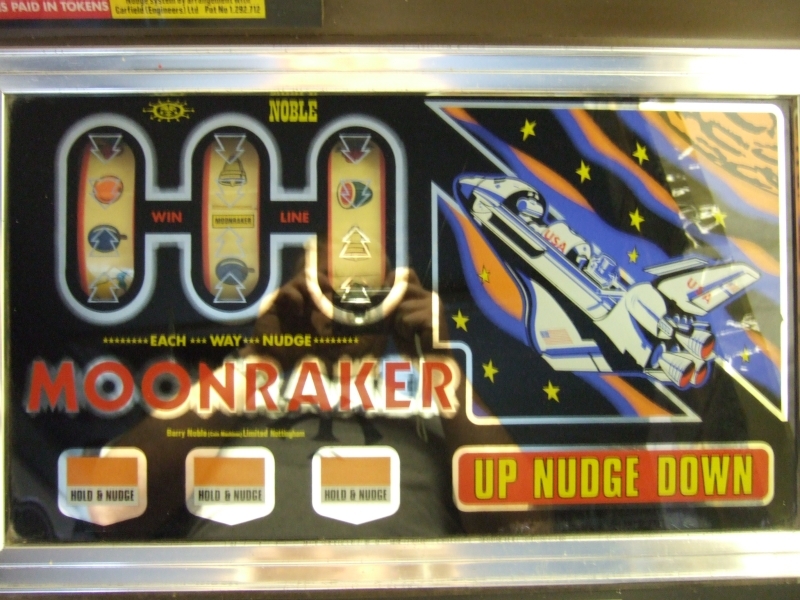 I tackled the issue of the slipping reels first because I would be able to play the machine without changing the coin mechs, it just meant that I had to manually trigger the coin up switch each time rather than drop a coin in and have the coin trigger it automatically.